Juhu Beach is among the most famous beaches in India, located in Juhu, one of the posh suburbs of Mumbai. Earlier Juhu was an island, a long-narrow sand bar rising one or two metres above the sea level. Juhu beach is located on the bank of the Arabian Sea in Vile Parle and is spread for six km upto Versova. The beach is also known as the celebrity beach of India as it is the most sought after beach for shooting of films in India. Also Juhu Locality in Mumbai is a home to a number of well known personalities of Indian film industry hence it is quite common to find famous celebrities jogging along the sands of this popular beach of Mumbai. Besides of being visited by tourists because of its peaceful atmosphere and scenic beauty. It is quite famous for its local tongue treats and street food such as Bhel Puri, Sevpuri, Pav Bhaaji. Mumbaikars visit this beach for recreation after the whole days weariness and few come to the place for picnic purposes. Till the 19th century, Juhu was an island, off the west coast of Salsette. People used to reach the island by walking across the tidal inlets during low tides. Portuguese used to Juhu as Juvem. 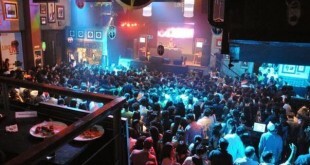 The inhabitants of Juhu were majorly East Indians and a small section of Goans. 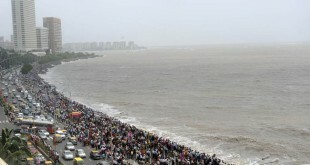 Most of the Mumbai’s affluent population have been attracted by the open beaches of Juhu for almost a century. Juhu beach being such a famous place is usually crowded by the people of the ages. As the famous is known local snacks you should definitely relish your taste buds with these street foods such as Bhel Puri, Pani Puri, Pav Bhaaji, Chuskis (ice balls dipped in syrups of different flavours). 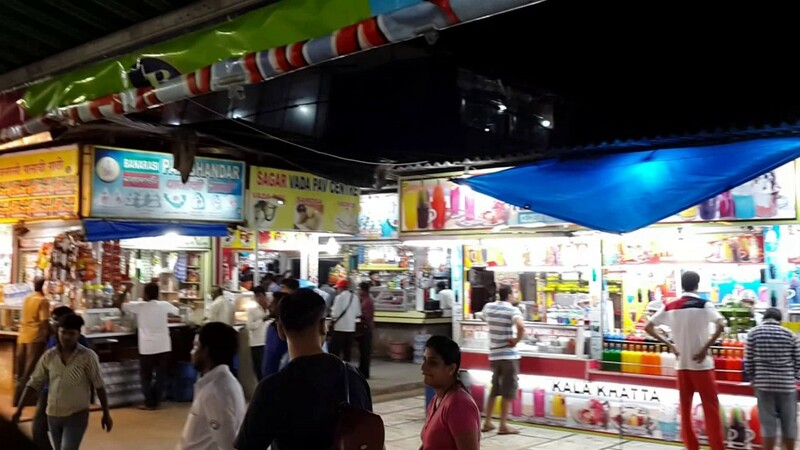 If you are not comfortable with roadside snacks then you can have a more lavish break at the various restaurants at Juhu beach. On weekends people throng the beach and enjoy horse rides dancing monkeys, acrobats. People also roam around selling balloons, toys or trinkets. Children can enjoy playing sports like football, cricket etc. Some groups of people conduct Yoga sessions and many other fitness conscious Mumbaikars find it a suitable place for jogging skipping cycling etc. Juhu beach is located in the western suburbs of Mumbai. 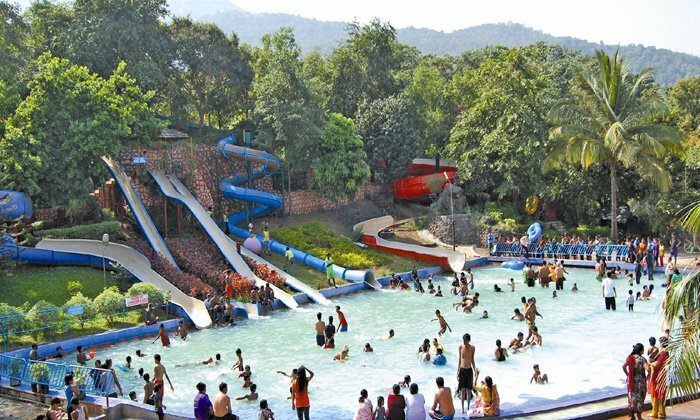 It is situated in a posh suburb, and is 18 km north of the Mumbai city centre. Arabian Sea lies to the west of Juhu beach and to its east Santacruz and Vile Place. Mumbai and the city is very well connected by rail routes so you can easily access the beach through railways. If you wish to reach the destination by Air then the beach is situated very close to the Domestic airport as well as the International airport. The beach is also easy to access through road transport as Dadar bus stand is just 15 km from the beach and the city is well connected through taxis, auto and private buses. The climate of Juhu is almost uniform throughout the year. The weather is quite pleasant in winters. 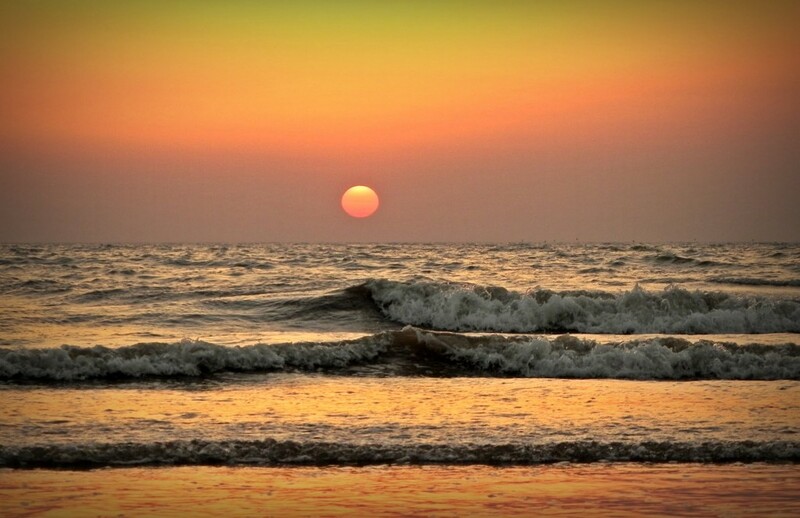 The best time to visit the Juhu beach is from between October and February. From mid June to September the place is hit by monsoon, when it rains quite heavily so it is advisable to avoid visiting the beach at this time as the tides are quite high.